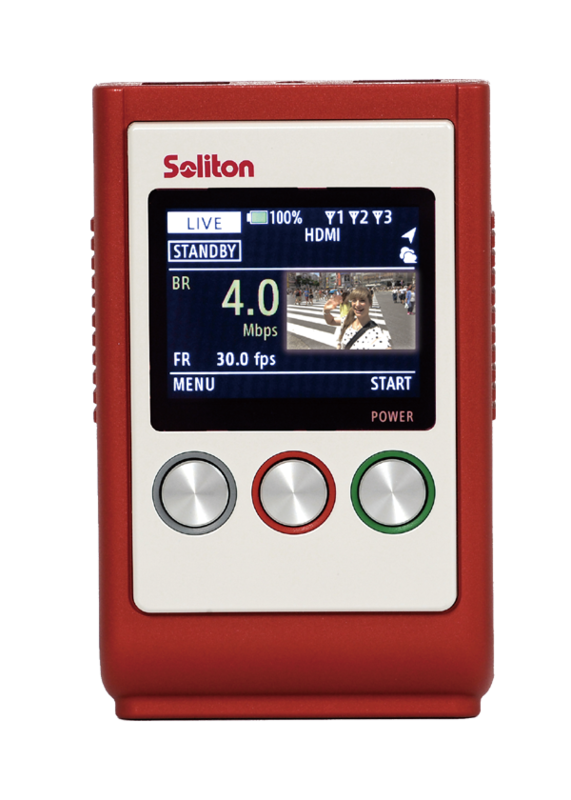 Soliton Smart-Telecaster Zao S, the newest and smallest H.265 hardware encoder. Smart-telecaster Zao-S, the worldâ€™s smallest mobile H.265 HEVC hardware encoder, enables full HD live video mobile transmission of live events via 4G from remote locations, to anywhere in the world, with a simple unit attached to the camera. High quality mobile video streaming can be challenging from remote locations such as news-gathering situations or other live events that may include sports events being filmed over a wide area. Cameras may need to provide live video streams from a car, motorcycle, drone or helicopter that are moving at speed. The fluctuating availability of the 3G or 4G cellular network makes it hard with traditional systems to maintain reliable HD quality of live streaming content. The RASCOW algorithm combined with H.265 and its small size and weight, the Zao-S provides high reliability that is easily transportable even on a person or bicycle. It can easily be held in a body strap or mounted directly to the camera. 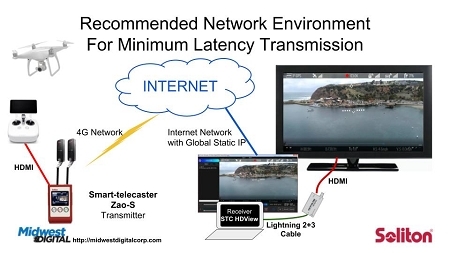 When streaming live events, especially news, a one second delay is very noticeable â€“ Zao-s can provide minimal latency typically half a second but as low as 240ms. Production companies, broadcasters and journalists are no longer getting frustrated with reliability, delay and image quality. Broadcasters and production companies can save money without the need for satellite, RF services or an Outside Broadcast (OB) truck. Smart-telecaster Zao-S is a portable video H265 HEVC encoder that compresses video in real-time enabling full HD live video streaming to anywhere in the world, while on the move. Due to its lightweight (about 350g) and portability, the Zao-S can be carried either on body strap or can be mounted on a camera and connect either via HD-SDI or HDMI to the camera. Smart-telecaster Zao-S is equipped with the H.265 video compression standard. H.265 technology improves encoding and compression by approximately 50% compared to H.264 compression. As a result HD picture quality can be maintained even when the mobile phone signal strength becomes low and with very low latency (0.5 seconds). Smart-telecaster Zao-S is a portable video encoder. The specially strap that comes with the product is easy to carry and operate. Smart-telecaster Zao-S supports a variety of mobile networks such as WCDMA, LTE, 3G, 4G, WiFi, ethernet, etc. With multi-link technology in Smart-telecaster Zao-S you can use up to 3 mobile data cards simultaneously. This strongly improves the quality of broadcasting under weak signal conditions. 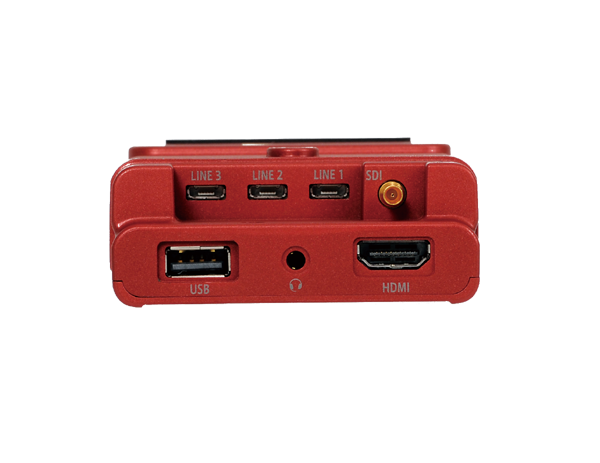 Our Smart-telecaster Zao-S viewing software can receive up to 4 video streams from 4 different camera units at the same time. HD-SDI/HDMI (1080i) video standard for full HD TV achieving unprecedented high quality digital video. STC for ML CAM is now available in the App store for mobile video transmission just using your iPhone.